If you are in Banaue and craving for Chinese, Singaporean or Malaysian dishes, then you should definitely go to Old Chinatown Kopitiam (OCK). While waiting for your dishes to arrive, you can enjoy watching the NBA games like I did. You can even have your car washed at the nearby Tazza Cafe and walk to OCK. The place can only accommodate limited seats so it quickly fills up during lunch/ dinner time. Usually, the people who eats at OCK are repeat customers and you can tell by the way they make their orders. We would usually give the menu to Aidan and ask him to order what he likes. He would look at the menu and pretend to read it and he would shout hakaw. He loves shrimp dumplings and the closest that we can order is the jumbo siomai. Char Kway Teow (P228). Despite its greasiness, we love this! Tasty! This is how I remembered when I have eaten this noodle dish at hawker stalls in Singapore. A lot better than the commercialized version of Banana Leaf and it taste more authentic. King Fish in Spicy Meat Sauce (P248). I liked the spicy meat sauce. My wife and I agreed that the fish tasted “lupa”. We were wondering if it was not washed properly or because it was the way it was and there’s no way of knowing if it would taste good. Jumbo Siomai (P98). We did not like this. It is like eating a jumbo dumpling of fat cleverly discussed as meat. I guess that’s how they do it in Old Chinatown but some preferred it this way. We do hope it would be full of lean meat for the next customer to enjoy. Don’t forget to end your meal with their version of Kopi with condensed milk. 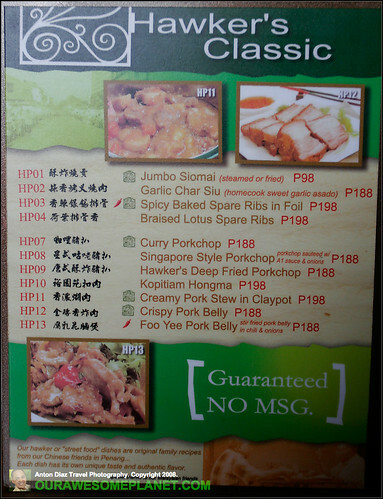 Eating in Old Chinatown Kopitiam is the closest that you can get to the taste of Hawker Foods in Malaysia/ Singapore. Near the busy intersection of Maria Clara and Banaue. 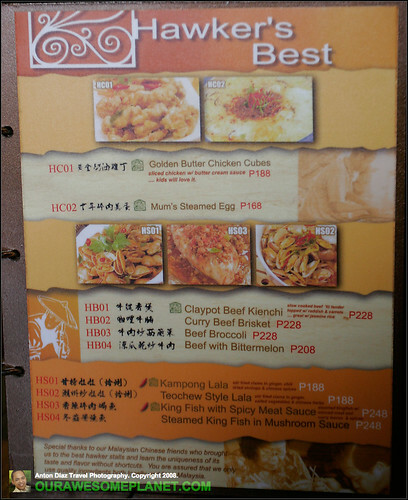 Tried this resto already, the service really needs a lot of improvement. The food is so so…. next time will try the Char Kway Teow. What? No curry mee and ice kacang??? We are currently based in KL. I think this resto is patterned after the “White Coffee OLD TOWN Kopitiam”. Logo looks the same. Anyway, I wonder if this concept will work in Manila. A cup of kopi here is around 2.5 ringgit (P32). Wow I want to go here. Thanks for the review. yes, sarap talaga kopi spareribs. new dish? I live near Banawe but haven’t tried this place. 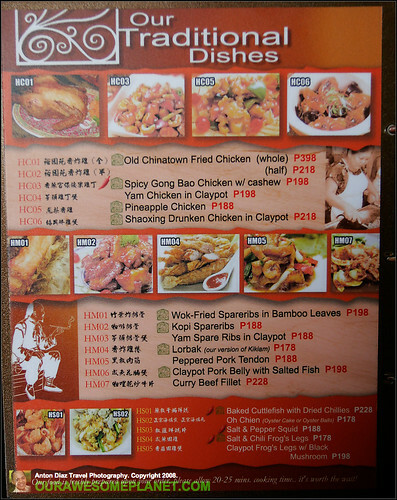 I frequent Causeway Bay along Banawe cor Del Monte and their dimsum’s really good! Its 30% off pa from 9:00pm onwards. Their beancurd roll is really the best! I tried this OCK restaurant and the food is so so. I recommand you should try the other restaurant in similar area, Name is “NASI LEMAK” at 165 Tomas Morato, QC. Its opposite the McDonalds of Tomas Morato, next to Office Warehouse. A Singaporean/Malaysian restaurant recently open for business. I am a Malaysian, my friend and I visited the restaurant last night (4/21/08) and we ask for more sambal/blachan and added chillis in the stir fried Kang Kong, and this is the first time I tasted Kang Kong Blachan so good in the Phils. Thanks to Nasi Lemak staff who are so eager to please their customers. We ate Kueh Pai Ti (Appetiser), Malaysian Chicken Curry, Nasi Goreng, and Kueh Talam for dessert. They were real good. Will certainly ask all my Malaysian friends to come here and support the restaurant. I have been to many so called Malaysian/Singaporean restaurants in Metro Manila and this is the most authentic Malaysian/Singaporean restaurant in Metro manila. They know what they need to cook, there is someone in the restaurant who knows how to cook real authentic food and knows the tastes well. Very high rating from me. Almost perfect! I have worked in Malaysia and Singapore for over 10 years, I came back to Phils 2 yrs ago, and really home sick of the beautiful malaysian/Singaporean cooking. And frankly I have been to Banana Leaf, Rasa Singapore, Crustasia, and others, but I was not really satisfied because they are not good enough. I went to NASI LEMAK this afternoon and ate their NASI LEMAK set, chicken was nice, the chilli with dilis was really something, the rice is very good unlike what Kopi Roti style (real bad). With that, I am going to take my family there tonight! Maraming salamat to the owner. 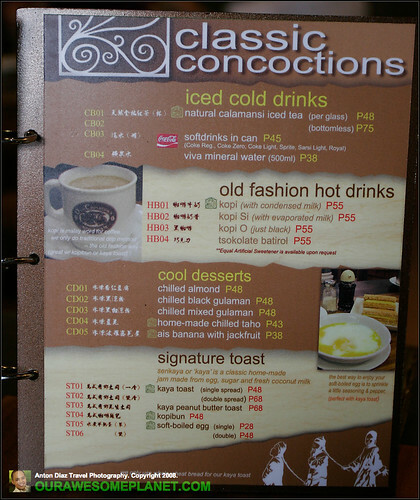 Owner of philipine koptiam got the concept from malaysian oldtown kopitiam, even the LOGO is 95% copied eh!. Please dont fool us that you got the concept of kopitiam on your trip to SINGAPORE MAYBE FROM one of YOUR TRIP TO MALAYSIA, anybody can google kopitiam on the net and indexed right smack to malaysian oldtown koptiam website, SO PLZ DONT DO THE silly coverup lah. typical traits of most copycat businessman in the Philippines, Do the cover up thing lah!. i’ve tried Old Chinatown Kopitiam and the food is GREAT! the Char Kway Teow, Golden Butter Chicken and Kopi Spareribs are highly recommended. they serve the best kopi and kaya toast. More power to OCK. i’ve tried Nasi Lemak the other day and i should say that i’m very disappointed with their version of the Char Kway Teow. the noodles are very soggy. the pork satay is full of fat. They should improve on their service and quality of food. the price is very expensive. Old Chinatown Kopitiam is the best resto in Q.C. the food is very authentic. you should try their XO Fried Rice, tofu squares, golden butter chicken and bittermelon with salted egg. i love their version of the chilled taho. Nasi Lemak??? 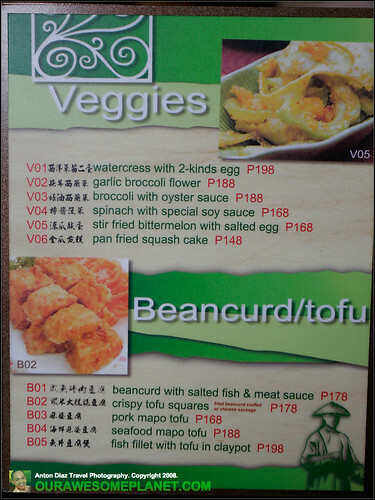 i’m hearing a lot of bad reviews from this resto. service is bad, the fish curry was served in a broken claypot…better change your claypot asap. the onde onde is very salty…supposed to be a dessert. 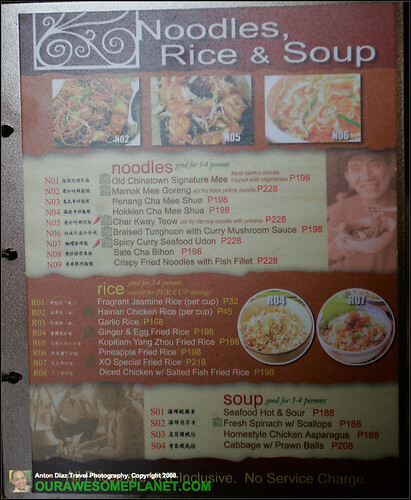 The food r really good and authentic,nice ambiance and lamig aircon nyo. congrats and more power. just came back from singapore, and i love the cereal prawn so much. i just would like to ask if OCK serves cereal prawns, too? I have seen so many restaurants named Kopi Tiam around Metro Manila. Is this the same one? We tried to order from the Kopi Tiam owned by North Park. The service was terrible. I wonder if OCK is owned by North Park as well.